TUESDAY, May 24, 2016 (HealthDay News) -- Just four in 10 Americans have a positive impression of clinical trials, a new survey finds. And, only about one-third of Americans would be likely to enroll in one, the survey showed. The findings are cause for concern in terms of cancer research because nearly every advance in cancer was first evaluated in a clinical trial, according to the study authors from Memorial Sloan Kettering Cancer Center, in New York City. They added that previous research has found that only 4 percent of cancer patients in the United States actually enroll in clinical trials each year. "When it comes to advancing cancer care, clinical research is the rocket fuel for better treatments, more accurate diagnoses and, ultimately, cures," said Dr. Jose Baselga, physician-in-chief and chief medical officer at the cancer center. "If this trend of low enrollment continues, we will face a crisis in cancer research and discovery. Further education is the key to participation and progress," he said in a center news release. Currently, more than 900 cancer clinical trials are under way at Memorial Sloan Kettering, the researchers said. The survey included more than 1,500 adults. They were between the ages of 18 and 69 years old. The surveys revealed a number of concerns about clinical trials. More than half of those surveyed were worried about side effects and safety. Half were concerned about insurance coverage and out-of-pocket costs. And nearly half were concerned about the inconvenience of trial locations, or receiving a placebo instead of an active treatment drug. Additionally, about another one-third of those surveyed expressed skepticism about unproven treatments. A similar number said a clinical trial would make them feel like a guinea pig. But after reading information about clinical trials, the number of respondents with a positive impression of these trials rose from 40 percent to 60 percent. "While concerns regarding clinical trials are understandable, it is critical that the cancer community address common myths and misunderstandings around issues like effectiveness, safety, use of placebo, and at which point in treatment a trial should be considered. For example, the vast majority of clinical trials do not involve a placebo," said Dr. Paul Sabbatini, deputy physician-in-chief for clinical research at Memorial Sloan Kettering. The review also included a survey of nearly 600 doctors who have discussed clinical trials with patients. Many clinical trials are available to patients in the earliest phases of treatment, but 56 percent of doctors said they considered clinical trials for patients only late in treatment. Twenty-eight percent said they considered clinical trials "a treatment of last resort." Only 32 percent of the doctors said they discuss clinical trials with their patients at the beginning of treatment. "Failing to consider clinical trials at every stage of cancer diagnosis and treatment can represent a significant missed opportunity, primarily for patients, as well as for doctors and researchers trying to develop better therapies," Sabbatini said. 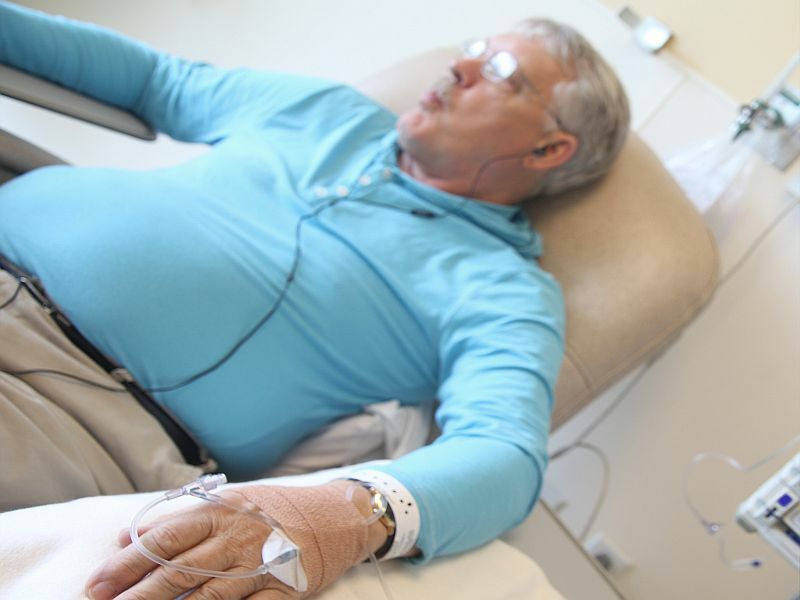 "It's critical that we spread the word: Clinical trials offer our best thinking toward finding better ways to prevent, treat and cure cancer, and there are options for patients and their families to consider early on in treatment," he added.